Hey everyone, it’s “My Envy Box” time again! I just received My Envy Box September Edition this afternoon. This month Envy Box cames in a red color and is smaller in size as compared to the previous boxes. They have also changed the shape of the metallic flap which I really liked this time. Inside the box there was a shimmery black pouch that contains five product samples. 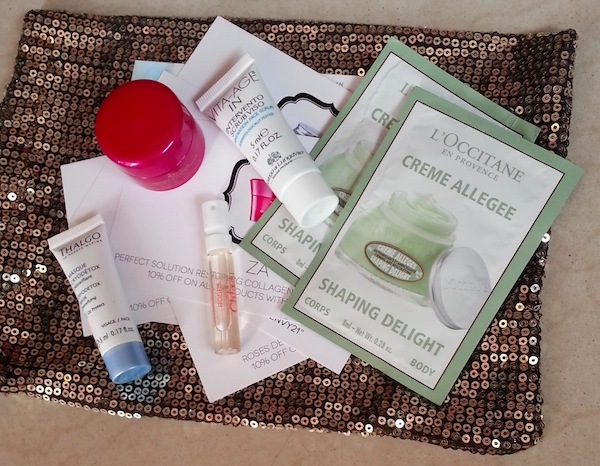 I got 4 skin care samples & 1 perfume sample from luxury brands like Bottega Di Lungavita, L’Occitane, Chloe, ZA & Thalgo. 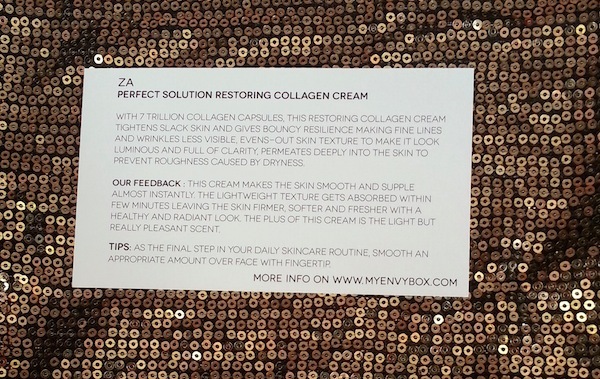 ZA Perfect Solution Restoring Collagen Cream : I got 5g sample of this cream which comes with 7 trillion collagen capsules. It claims to tighten slack skin, reduces fine lines and wrinkles. Its watery texture spreads easily and deeply moisturizes the skin to prevent roughness. I have been using ZA True White range for a few months now and I am excited to try this out. It comes in an attractive packaging and this sample will easily last for 4-5 usages. 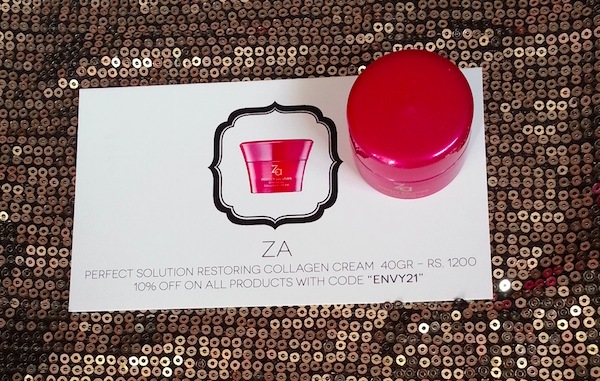 ZA Perfect Solution Restoring Collagen Cream Price in India – Rs.1200 for 40g. 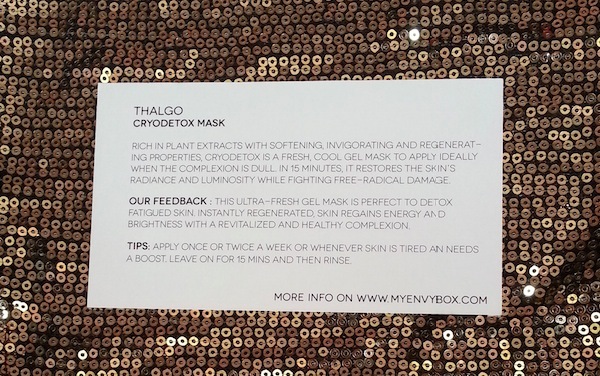 Thalgo Cryodetox Mask : I have already received a few Thalgo samples in my previous boxes and they were pretty good. This mask is enriched with plant extracts and has softening, invigorating and regenerating properties. It comes in a clear gel form and has refreshing fragrance. It helps in detoxifying fatigued skin and lightens & brightens skin complexion. This 5g sample is good enough for 2-3 usages. I am looking forward to try this mask soon. 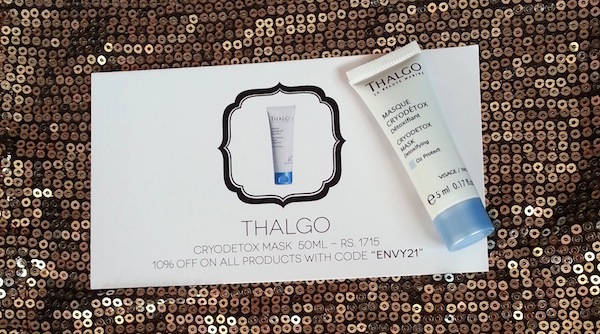 Thalgo Cryodetox Mask Price in India – Rs.1,715 for 50ml. 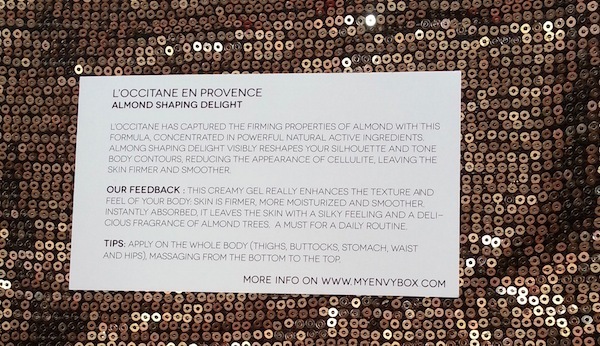 L’occitane en Provence Almond Shaping Delight : They sent two samples (8ml each) of this body massage gel. It claims to reshape your silhouette, tones body contours, reduces the appearance of cellulite and leaves skin firmer & smoother. I am very excited to use this massage gel. 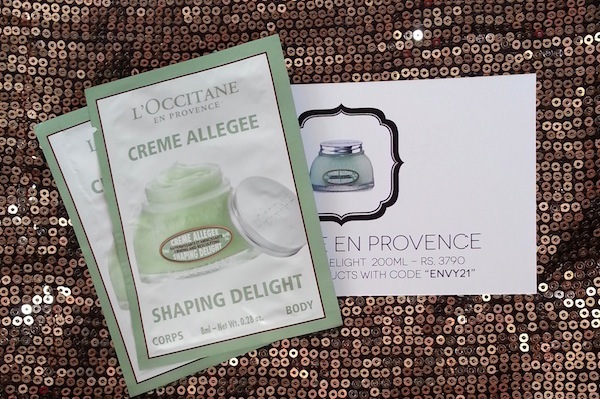 L’occitane en Provence Almond Shaping Delight Price in India : Rs.3,790 for 200ml. 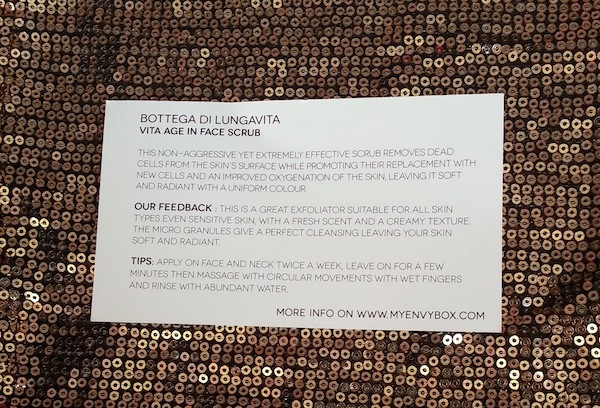 Bottega Di Lungavita Vita Age In Face Scrub : It is a cream based face scrub that contains brown scrubbing granules. It claims to remove dead skin cell and promote their replacement with new cells. It makes skin soft, glowing and visibly clear. This 5ml sample will easily last for 4-5 usages. 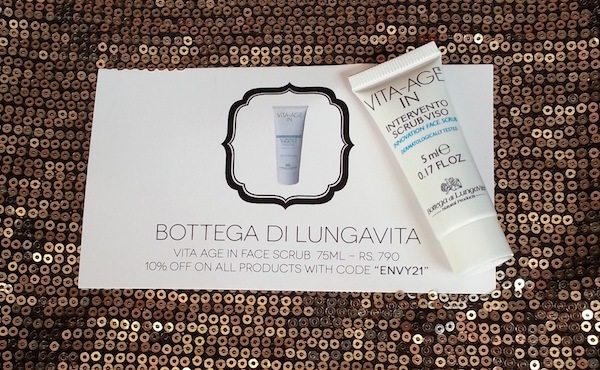 Bottega Di Lungavita Vita Age In Face Scrub Price in India – Rs.790 for 75ml. 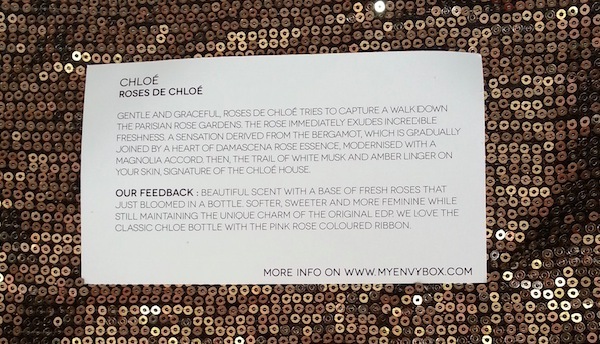 Chloe Roses De Chloe EDT : Last but not the least they sent an another perfume sample. I really like its sweet rosy fragrance and will definitely use it. 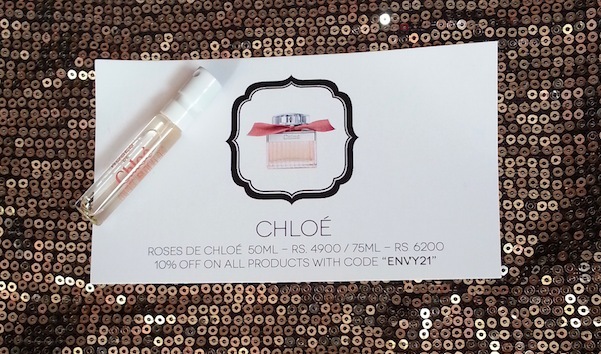 Chloe Roses De Chloe EDT Price in India – Rs.4900 for 50ml & Rs.6200 for 75ml. 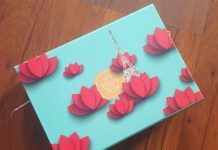 My Envy Box is one of the best luxury beauty box subscription service available in India and it is a total value for money. My Envy Box subscription costs Rs.850/month and is currently on invite basis only. 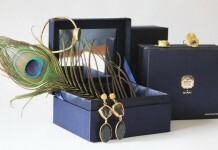 You can visit the website myenvybox.com to request an invite. Overall I find this month's Envy Box an average one, I have received much better boxes in the past. I came across two new brands this month but the products quantity (very less) is quite disappointing. 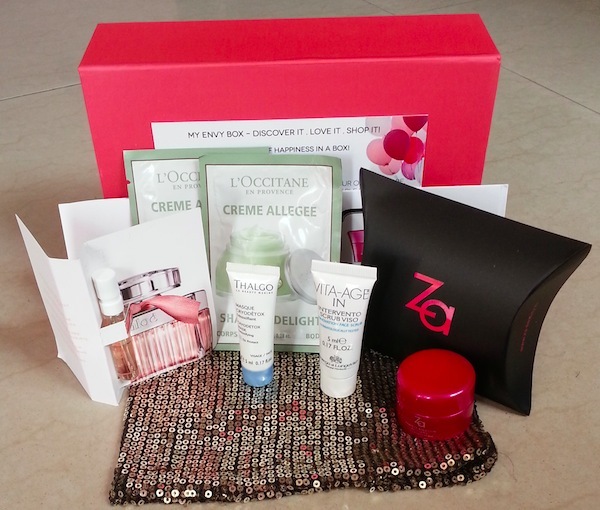 I like ZA Perfect Solution Restoring Collagen Cream & Thalgo mask from September Envy Box. I hope I will have better experience with the October box.